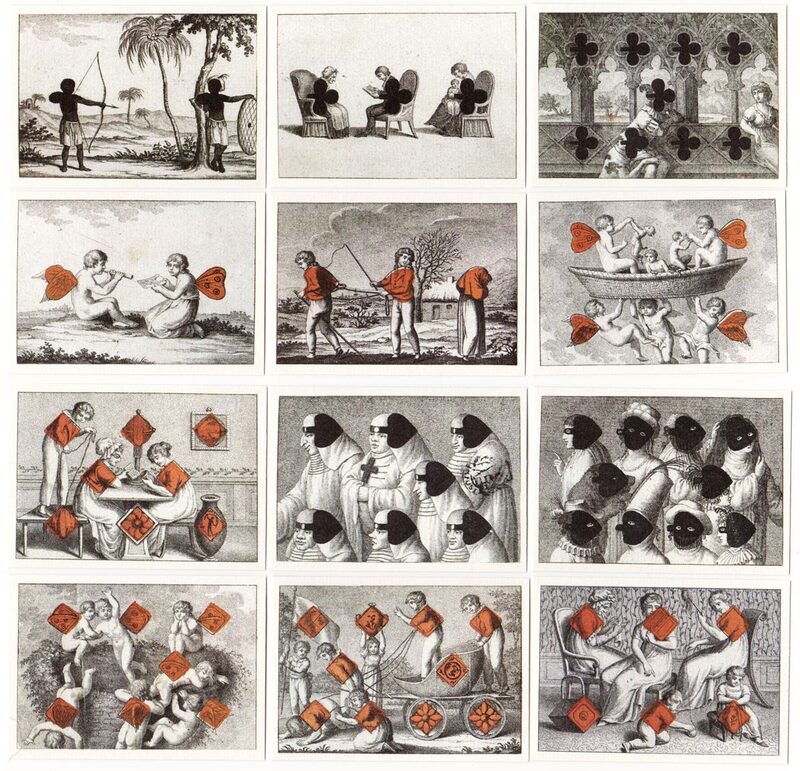 Above: Cotta's Transformation playing cards, first published in Tübingen, Germany, in 1804. These decks were published as almanacs, each card corresponding to one of the 52 weeks of the year. Cards shown here are from the facsimile edition published by Baptiste-Paul Grimaud (France-Cartes) in 1984. 52 cards + extra card in presentation box.